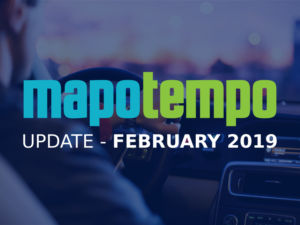 Skills management, prioritize destinations to visit, vehicle refilling/emptying during routes execution, work time management, discover all the new features of the January 2018 update. This feature allows you to define the vehicles in your fleet that have a specific skill. Then, you will be able to match this skill offer with your destinations’ skills requirements. 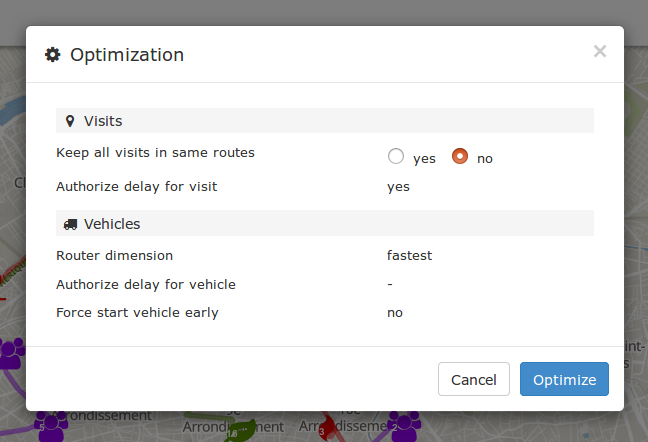 At the launch of an optimization of your routes, the algorithm will automatically assign destinations who need a specific skill to the vehicle that has it. Example of use in the audit field. When you know that your resources (vehicles) won’t be able to visit all of your destinations, you can now assign a visit priority to each of them. 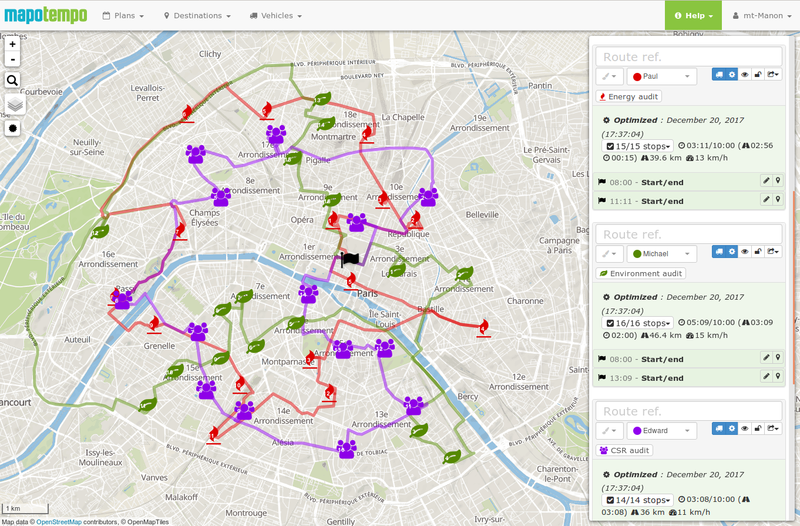 Then, when you will run an optimization of your routes the prioritization of your destinations will be taken into account by the algorithm and you will therefore necessarily find in your troute plan the destinations to visit first. You can now define on each visit whether it is a emptying or a filling operation. Once this setting has been made, the optimization algorithm will then automatically determine the exact quantity to be filled or emptied by optimizing the loading capacity of your vehicle. Rest time window and duration, which defines when your mobile workforce can take a break and for how long. 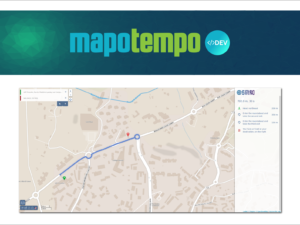 Difference between the time shift and work time in Mapotempo Web. You can now specify an additional constraint that will be taken into account when launching an optimization: work time. Unlike the time shift, this is the maximum amount of time your mobile workforce will be able to work in a day. 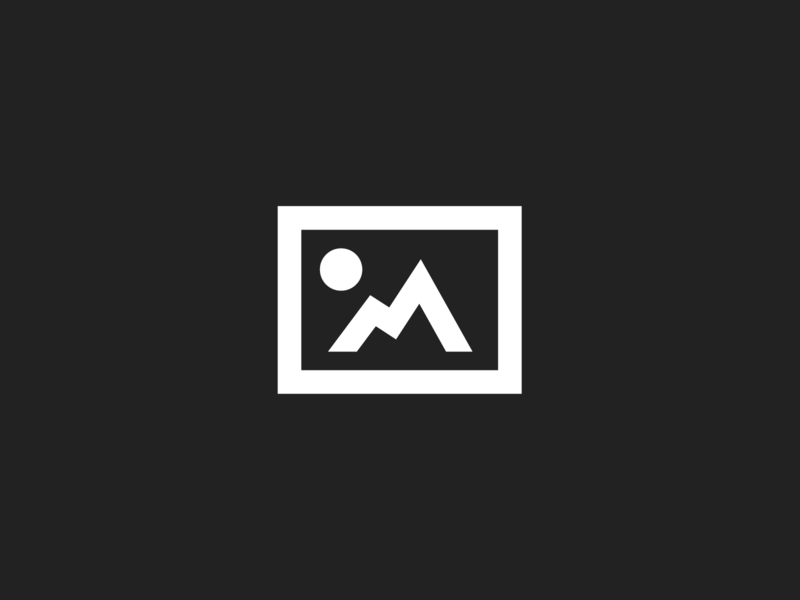 Despite the increasing complexity of the problems that our optimization engine can handle, we want to keep an ergonomic configuration within a clear and easy to use window. 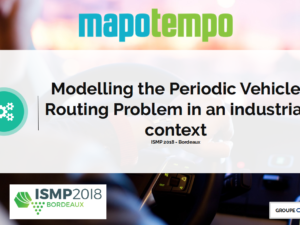 Mapotempo is a French startup that develops intuitive and innovative route planning and route optimization solutions.